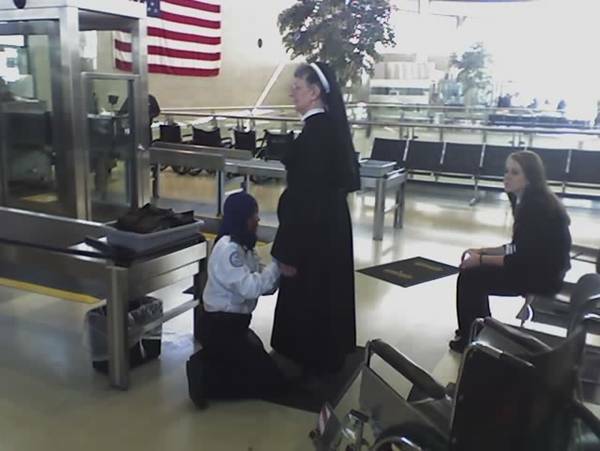 Ever since the TSA broke the law and abused him, Sai has been suing them over their illegal conduct, forcing them into court and then demonstrating to the court that the agency refuses to play by any rules, even its own. Last week, the TSA announced that its agents, at their sole discretion and without any published guidelines, would be able to force people through the "optional" full body scanners, even if they opted out. Sai has filed a motion for an emergency preliminary injunction/temporary restraining order in the First Circuit, seeking to have a court prohibit the TSA from forcing travellers through its scanners. Sai represents himself at court, and is seeking pro bono counsel and amici. You can also support his Patreon fundraiser. After being mistreated because of his disability by TSA employees in Boston and TSA contractors in San Francisco, Sai filed complaints under the Rehabilitation Act, which prohibits discrimination by Federal agencies and programs (such as TSA checkpoints) on the basis of disability. Despite a specific statutory duty to investigate and respond to these complaints within six months, the TSA failed to respond to either of Sai’s complaints for almost three years. After Sai sued to force the TSA to respond to his complaints, the TSA finally responded to (and dismissed) Sai’s complaint about his treatment in Boston. Armed with the dismissal of his administrative complaint, Sai was then finally able to bring a separate lawsuit challenging his treatment by the TSA in Boston. With respect to Sai’s complaint about his treatment by TSA contractors at SFO, however, the TSA continued to stonewall. The TSA neither responded to the complaint, nor gave the court any reason why it hadn’t done so. Instead, the TSA argued that Sai had no standing to ask the court order the TSA to comply with the deadline in the Rehabilitation Act regulations, or even to order the TSA to provide the response to the complaint mandated by the law!